Photography has become increasingly popular in the modern art market and now represents 8% of transactions inside it. As estimated in “The Art Market” report presented at Art Basel 2017 exhibition, global market volume reached 56,6 billion USD in 2016. During 2010-2015 the segment of digital photography has shown growth by 48%, and the growth will continue in the following years. This makes digital photography a perspective segment for investments. Yet this young industry has several problems to solve, and one of the biggest of them is low market transparency. Currently, there are lots of communities and experts who do not have any unified platform for interaction with investors, art owners and each other. Along with that, there is a huge number of unregistered copies and fakes. There is also no common registry of art owners that defends owners’ rights. This leads to a situation where half of the market is a “gray” zone and actually not controlled. To make digital photography a more secure investment, there is a need for more confidence in the copyright safety and the adequacy of pricing. How can blockchain technologies help the situation? Given the safety and transparency provided by innovative technologies, all these problems can be easily solved. ARTEX, a large media holding for digital photos, has created a platform aimed to unite participants of the art market for safe and liable interaction. 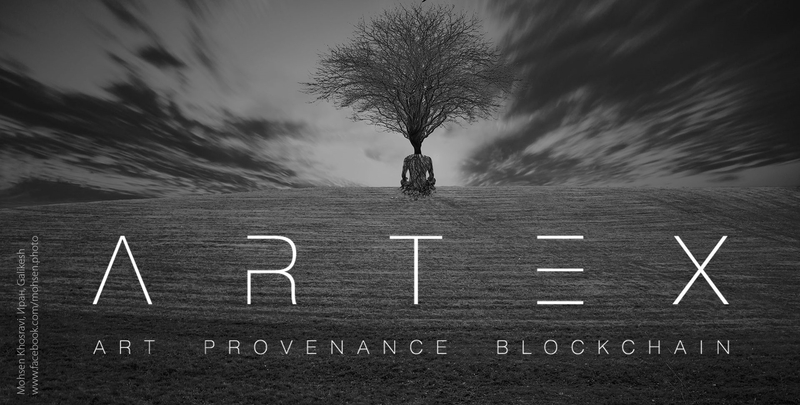 Technically, the ARTEX Platform is based on a public registry of pictures and a database of photographers created with support of leading art galleries. The Platform can be used through an app, which represents an artistic catalog with one-click access. The catalog contains all basic information needed for the provenance: the copyright owner, property rights, the history of transactions, current location, and the controlling gallery. All information entered into an Ethereum blockchain, specially designed to maintain its integrity, thus protecting photographers` copyrights and preventing illegal copying. All transactions are secured by the Smart Contracts. Authentication is achieved with the formation of a narrowly defined group of experts. This scheme would benefit all the participants of the market. Copyright owners will feel much safer with their rights well protected. Pieces of art will be much easier to track and evaluate, because all authentication and transaction data will be fixed in the blockchain. This will minimize the chance of a fake or an illegal copy appearing in the market, along with making more transparent the process of pricing. This way, digital art will be a much more secure investment than before, and a much more profitable business with clear rules of the game. Later on, Artex project aims to expand this model and from the digital photography market to other segments.